Henry Saylor is assigned to go investigate a house on Vine Street that neighbors are claiming are haunted and write a story about it. People regularly show up, walk in, and if they come out, they disappear. People have tried to break down the door but with no luck. He climbed in through the rear window with the help of the police. Once in the house, he hears all sorts of movement throughout the house. He moves through the house and finds a woman's head. He brings it toward the window examine it and continues to hear people. He believes people outside has stampeded into the house. When they enter the room and see him with the head, he tries to explain but they just laugh and kick the head around. He left the house and goes to the office. He reports that there is nothing going on in the house. 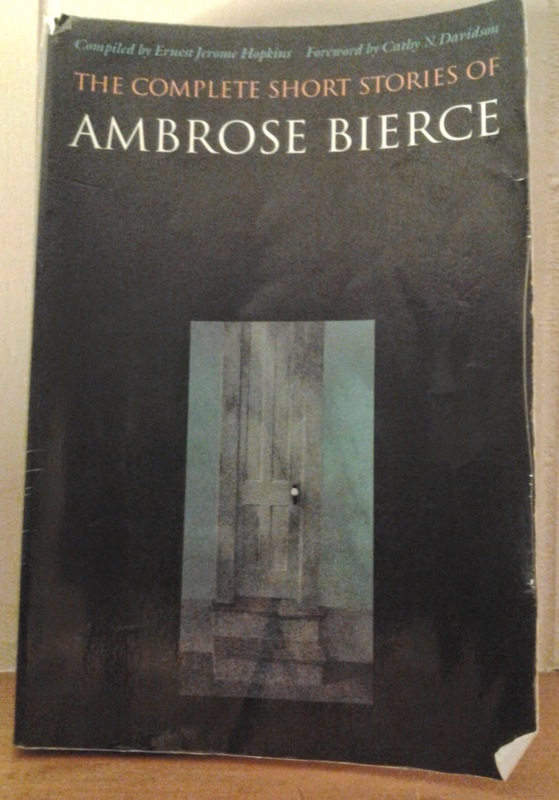 The silenced report is an interesting conclusion to this story given Bierce's own experience as a journalist and the idea that covering up a story is better than the truth. It was a shorter short story and I think much more could be done with it. However, the scene with the head and the people playing with it was done quite well.